A new Advisory Opinion on Responsibility and Liability for International Seabed Mining from the Seabed Disputes Chamber of the Hamburg-based International Tribunal for the Law of the Sea advises countries interested in sponsoring commercial mining in international waters that they can limit their liability for accidents, but that they will have to consider the precautionary approach, global commons interests, and the evolution of international law in light of new scientific information. Small island states interested in sponsorship requested this advisory opinion before they undertook to sponsor mining companies based in Canada and Australia. 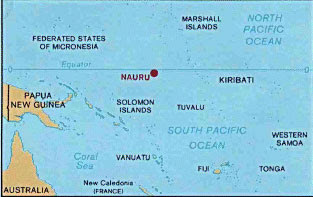 This February decision was the first to be issued by the Seabed Disputes Chamber, which was established by the UN Convention on the Law of the Sea. The opinion clarifies a number of issues specific to a state’s obligations and liability for harm that might result when it sponsors commercial deep seabed mining in a zone of international waters designated “the Area.” It also offers much of more general interest, particularly in its application of the ILC Draft Articles on state responsibility. The Chamber’s thoughtful decision should encourage states to have confidence in the Tribunal and its Chamber. 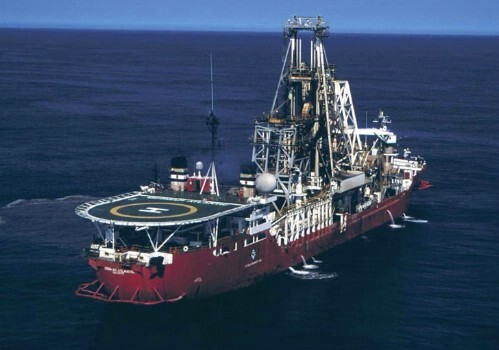 The increasing value of metals that are found on the deep seabed has given rise to greater commercial interest in mining in international waters, more than 200 miles offshore and at as much as 6,000 meters (18,000 feet) below the sea surface. (credit for above right photo of seabed diamond-mining vessel) Access to these resources is implemented through a regime managed by the Jamaica-based International Seabed Authority, which, the Chamber observed, “acts on behalf of mankind.” Under this system, a government can sponsor a company to explore and mine some international waters. The United States, not having ratified the law of the sea convention, is not part of the regime. ► As effective as international standards. in situations where scientific evidence concerning the scope and potential negative impact of the activity in question is insufficient but where there are plausible indications of potential risks. In a variation on the principle of “common but differentiated responsibilities,” Nauru, a small Pacific island state, had proposed that UNCLOS provisions intended to encourage developing state participation require it to observe a lesser standard of obligation than required of developed countries. Nauru argued that it could not risk the potential cost of a disaster, and so would be unable to gain the benefits from deep seabed mining promised to developing states in the convention. In this Advisory Opinion, the Seabed Disputes Chamber stated that sponsoring state obligations apply to both developed and developing countries, although “rules setting out” direct obligations could differentiate. The Chamber also noted that Rio Principle 15 may suggest a different standard, as that principle includes the proviso that the precautionary approach is to be applied according to the capabilities of the state. While obligations and liability rules are established by the convention and related instruments, the consequences are governed by customary international law. Citing the ILC’s codification of customary law, its Articles on State Responsibility, Article 48, the Chamber indicated that obligations to preserve the environment of the high seas and in the Area may be erga omnes; that is, owed to the international community as a whole or “to a group of States [if the obligation] is established for the protection of a collective interest of the group.” The Seabed Authority might be able to claim compensation on behalf of the international community, along with parties to UNCLOS, “entities engaged in deep seabed mining, other users of the sea, and coastal States.” Though the Chamber does not mention it, other forms of enforcement may also be open to the international community. ► Ensuring access to compensation. a direct obligation under the Convention and a general obligation under under customary international law. The rejection of the argument that states that sponsor mining operations bear residual liability for any damages not compensated by the mining company leaves an important gap in liability. Other international liability regimes are structured in a similar way, which made sense in an “empty world”. In today’s “full world”, if the cost of environmental damage is not paid by those who expected to profit from the harmful activities, it will be paid by the international community. The Chamber suggested that a possible solution could be the establishment of a trust fund. Such funds have at times been successful, as in the case of the International Oil Pollution Compensation Funds. But the slow progress on climate change funds is an example of the problems. The Chamber’s invocation of Article 304 of the law of the sea convention, which refers to the development of further rules governing responsibility and liability for damage, and its linkage of rising environmental standards to increased scientific knowledge leave the door open to a more protective stance in future contentious cases and provides important guidance to the International Seabed Authority. The Chamber provided a degree of access to nonstate participants. Under the rules applicable to the Chamber’s advisory jurisdiction, “intergovernmental organizations which are likely to be able to furnish information on the question” may be invited to participate. 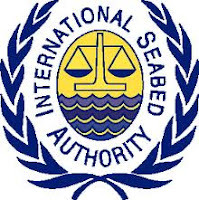 On that basis, the Chamber invited all observers to the International Seabed Authority Assembly to submit written and oral statements. The participation of the International Union for Conservation of Nature, on behalf of which I appeared in these proceedings, along with members of the UN family: UNESCO’s Intergovernmental Oceanographic Commission and the UN Environmental Programme, occurred on this basis. Two nongovernmental organizations, Greenpeace International and the World Wildlife Fund, jointly submitted a statement and a request to participate in the proceedings as amici curiae. The Chamber considered the request and decided to post the statement on its website, but as the Rules of the Tribunal do not provide for amicus participation, did not include their statement in the case file. The NGOs were not allowed to participate in the oral proceedings. The Advisory Opinion, written statements, verbatim record of oral statements, and webcast of oral statements are all available here.